We used to have Koombu thoren often at home growing up. I love this dish! 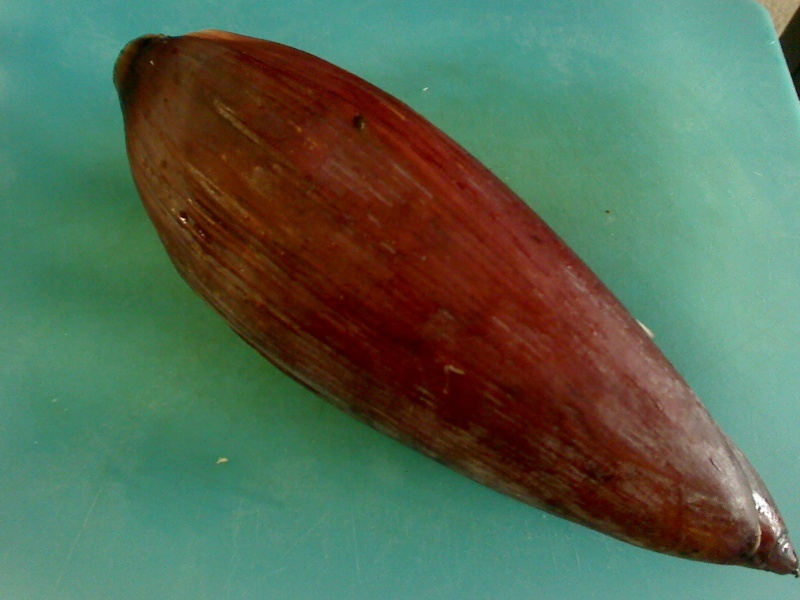 So when I found a Koombu (banana flower) at a nearby store, I quickly grabbed one. This is a very traditional side dish and goes well with rice. 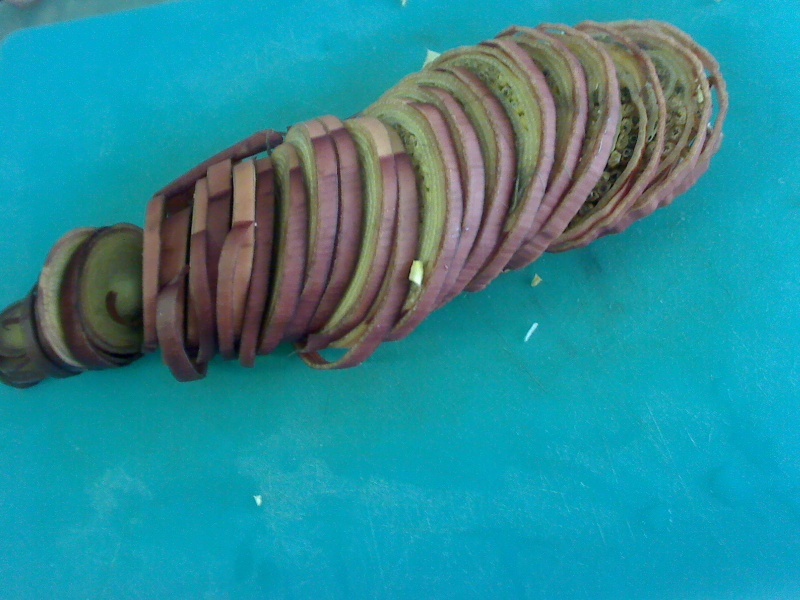 Wash the banana flower, and detach the first 2-3 layers. 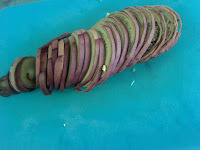 Cut it as shown in the picture into circular pieces, followed by roughly chopping into smaller pieces and set aside. 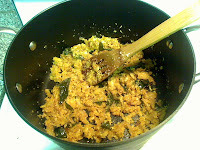 Heat oil in a pan, add mustard seeds, and curry leaves. 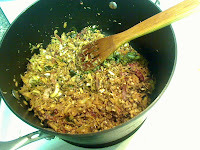 Once the mustard seeds splutter, add the ginger, garlic, and the chopped green chilli. Once the garlic, and ginger pieces turn slightly brown, add the onion pieces, and sauté till the onion pieces are translucent. Add the turmeric, and chilli powders to this onion mix. Once the raw smell is gone, add ½ cup of grated coconut, and sauté for 1-2 minutes. Next add the chopped banana flower. 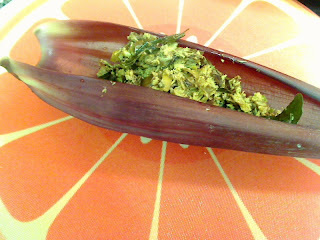 Grind the remaining ½ cup grated coconut, with 3 green chilli, and add this to the banan flower mix. Let it cook till the banana flower turns dark. I am always on the lookout for recipes that include vegetables that I have not cooked before. 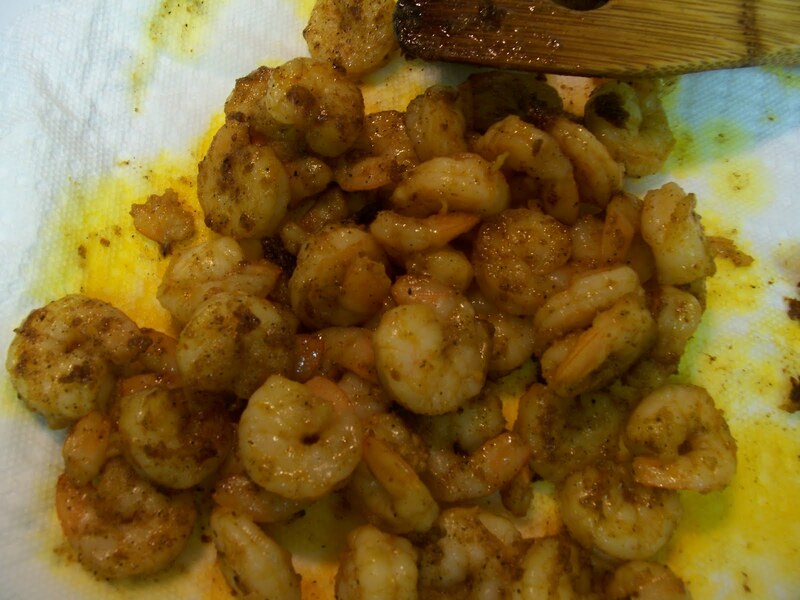 So when I came across this recipe at yummyoyummy blog, I wanted to give it a try. It is simple, and a tasty side dish with rice. 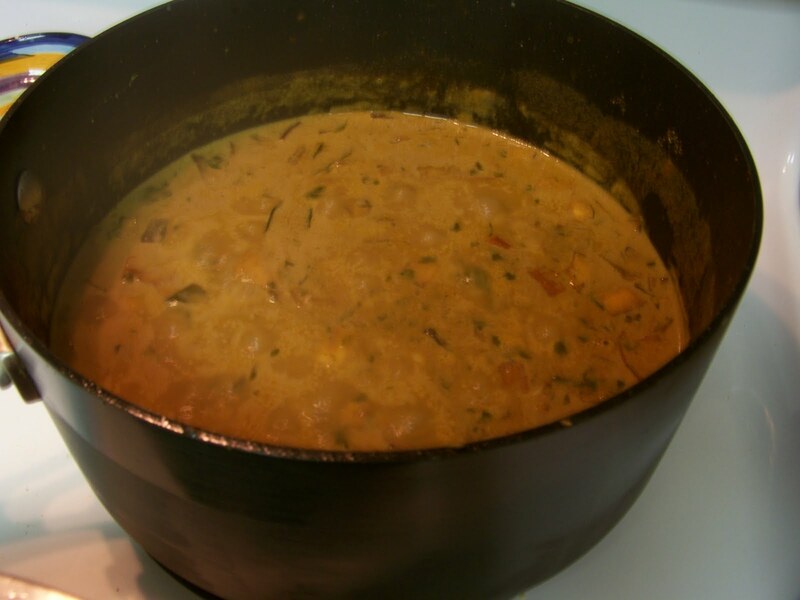 Cook chana dal (add enough water to cover them) in a pressure cook for 3-4 whistles or 30-40 mins. Empty the cooker, and cook the bottle gourd cubes in the pressure cooker for 2-3 whistles or in a vessel until it gets soft. Heat oil in a vessel, and splutter the mustard seeds. 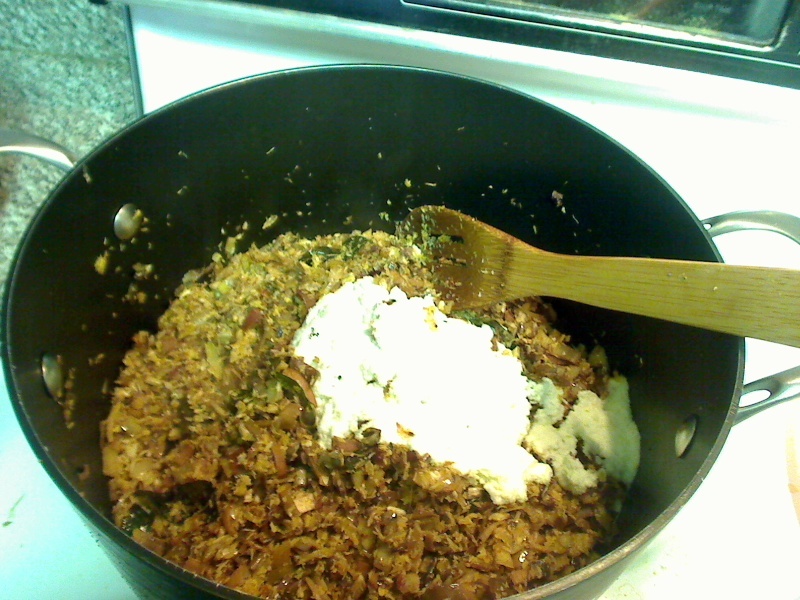 Add the cumin seeds, ginger–garlic paste, masala powders, and the tomato pieces. Once water oozes out of the tomatoes (10-15mins), add the chopped cilantro leaves. To this mix, add the cooked chana dal, and the cooked bottle gourd pieces along with the water it was cooked in. Let the curry cook for few more minutes. Enjoy this with rice or hot chapathis! Tomatoes are rich in carotene lycopene (a natural antioxidant) which is believed to have many health benefits . Now you can enjoy them in this tasty, and easy to put together dish. Heat some oil in a vessel, fry 3 dry chillies, ginger, garlic, and onion pieces. After about 15mins, take it off the flame, and let it cool down. Once cool, grind the mixture to a smooth puree. In another pan, heat little oil (2 tspn), splutter the mustard seeds, and fry the pearl onions, remaining dry chillies, and curry leaves. Add this mixture to the tomato puree. Enjoy this with hot dosas! This is a super easy, and super healthy dish. It will make a great vegetarian side to your meal! With regards to the recipe, I have not added any masalas, so you can still taste the fresh mix of vegetables in each mouthful. 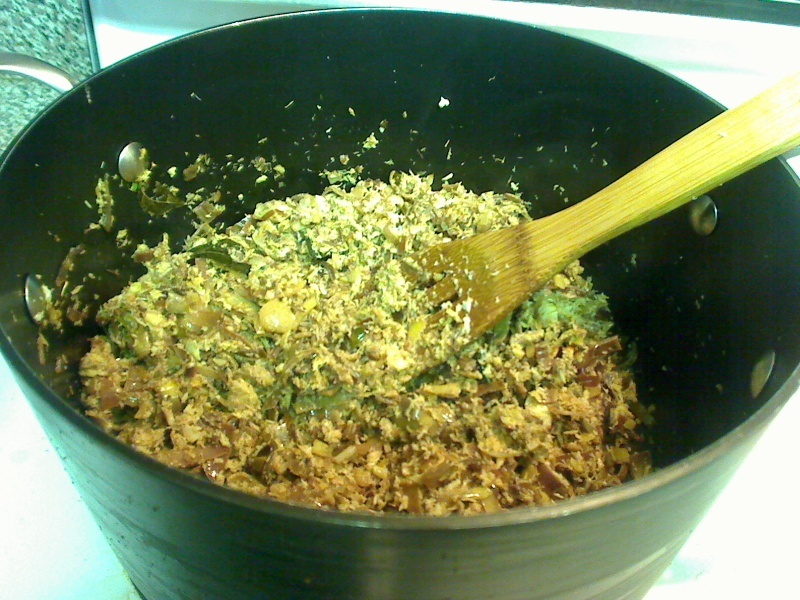 There is no need to add water, since the cabbage will release some, and the steam is all you need to slow cook. Cover, and cook it at medium heat for atleast 15mins, stirring it often. Add the cut green beans, and the peas to the mixture. 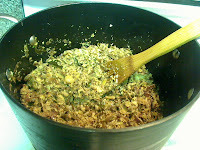 Let the whole mixture cook (15-20mins). 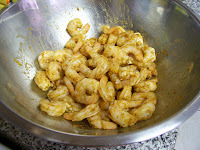 This was my first attempt at prawns curry. It came out a lot tastier than I expected! This dish took some time in preparing, but it was totally worth the effort! Turmeric – ¼ tspsn, Pepper – 2 tspsn, Coriander powder - 3 tspn, Kashmiri Chilli powder – 1 tspn. In the meantime, cut ginger, garlic cloves, and pearl onions into fine pieces. After time set for marination is complete, fry the prawn pieces in 1-2 tspsn of ghee. After that fry the cut coconut pieces. Keep them aside. 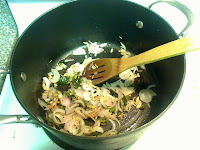 In the same pan (you might need to add more oil), add the ginger, garlic, and onion pieces, and curry leaves. 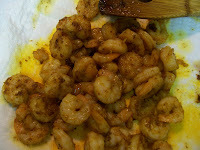 Once slightly browned, add coriander powder (2 tspn), kashmiri chilli powder, and little turmeric Once the raw smell is gone, add the cut tomatoes. After a few minutes water will start oozing out of the tomatoes. Let the mixture cook for few more minutes. 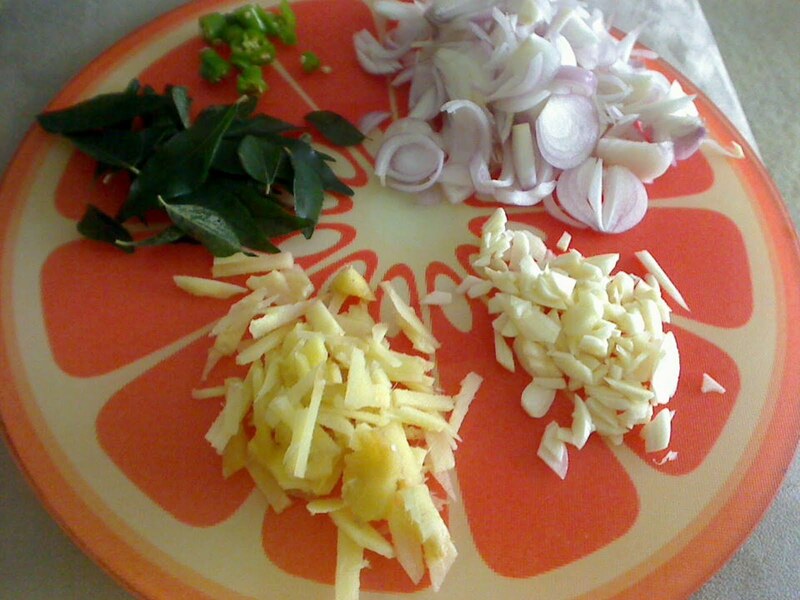 Chop some coriander leaves, and add it to the mixture. Add the fried coconut pieces. Let it cook. 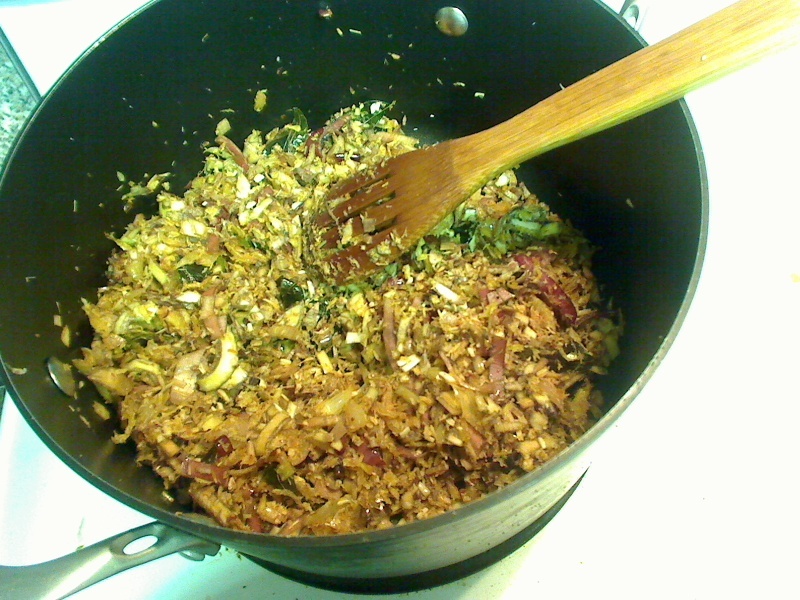 Then add 1-2 cups of water, followed by tamarind paste. And let the whole mixture boil. The dish is ready to be enjoyed with hot paratha/ chapathi or rice.